For the seventh time in its 28-year history, the Executive Veterinary Program: Swine Health Management has opened enrollment to veterinarians seeking to gain advanced skills needed by industry leaders. The program will convene at the College of Veterinary Medicine in Urbana, Ill., ten times between August 1, 2019, and February 5, 2021. The cost is $10,000, and participants who register by May 5 will receive a $1,000 early registration discount. Graduates of EVP report that the program equips them to manage ongoing and new challenges in the swine industry. 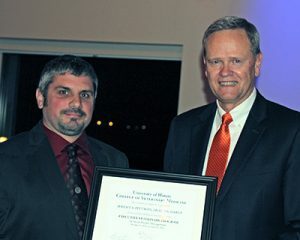 Dr. Larry Firkins, at right, congratulates Dr. Jeremy Pittman at the closing celebration for EVP: Swine graduates in 2016. EVP follows a proven recipe for success: Start with a group of 40 progressive practitioners committed to growing their careers. Add in top-tier speakers who stimulate learning about topics that are not covered in vet school, such as leadership, systems management, communication, and data analysis skills. Allow these components to percolate over the span of 18 months in a supportive but demanding environment. The outcome is improved critical thinking and problem-solving skills for participants who are now close colleagues. Current program coordinators are both EVP graduates. Dr. Larry Firkins, professor and associate dean for public engagement at the University of Illinois College of Veterinary Medicine, participated in the first offering of EVP: Swine. An international expert in human resource and leadership training for swine operations, he has delivered more than 700 presentations in the U.S and 16 other countries. He’s also been instrumental in bringing business education into the veterinary curriculum at Illinois and other U.S. veterinary colleges. 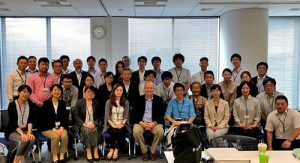 In 2018, Dr. Jim Lowe led 38 veterinarians, representing every major swine practice and pork production company in Japan, in a three-day EVP-like workshop to develop core disease management skills. Dr. Jim Lowe, associate professor and director of the veterinary college’s i-Learning Center, focuses on practice-relevant research to advance food animal production as well as innovative instructional methods for delivering knowledge to a diverse set of learners. Dr. Lowe also consults and speaks around the world. Over the past three years Drs. 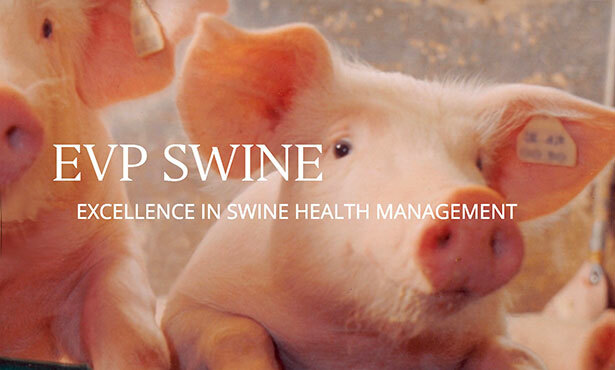 Firkins and Lowe have also strengthened connections with swine practitioners and producers in Japan, China, South America, Singapore, and Europe. Dr. Lowe is currently conducting a risk assessment of African Swine Fever commissioned by a group of European pork producers. Networking is perhaps the biggest intangible delivered through EVP. To illustrate the caliber of learner sought for the next offering of EVP, Dr. Firkins points to the influential leaders that graduated from the most recent EVP: Swine cohort. “Those veterinarians collectively oversaw the care for more than 40% of all pigs sold in the U.S. each year, were responsible for 70% of all of the genetic replacement animals sold in North America, and represented all the major multinational animal health companies doing business in the U.S.,” he said. 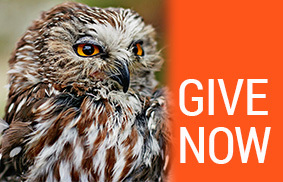 Enrollment is limited to 40 people. For details about the dates and speakers for the program, and to register, visit: https://vetmed.illinois.edu/evp/swine/ or call 217-333-2907.